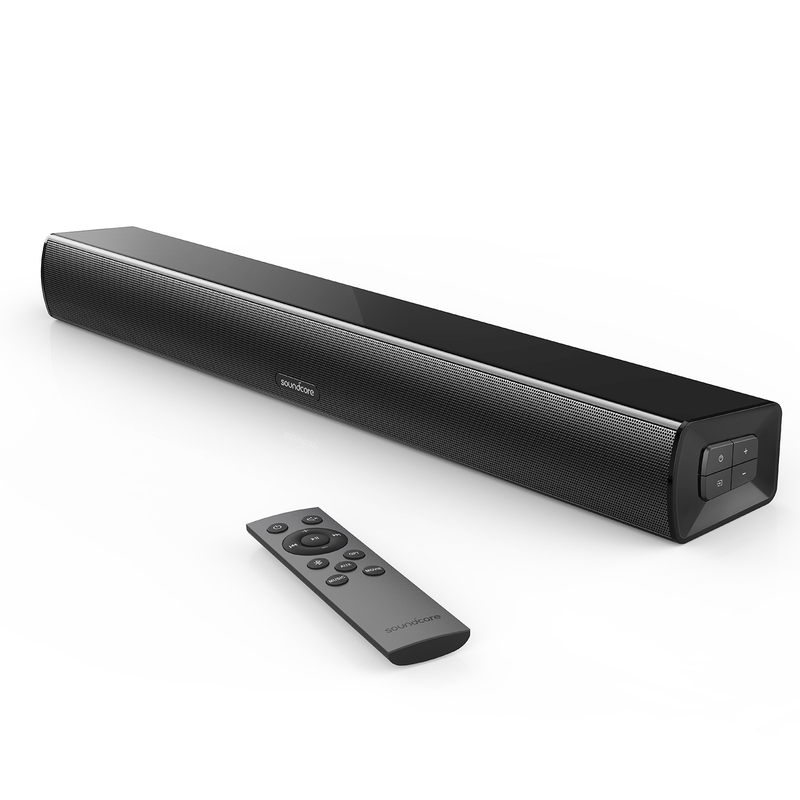 BELLEVUE, WA, June 14, 2018 – Soundcore by Anker today announced Infini Series, a new set of sound bars. Crafted for consumers seeking a cinema experience in a space-saving form-factor, Infini Series fuses Soundcore’s quality and design by delivering theater-quality sound with an eye-catching aesthetic. Infini Series can connect to devices through Bluetooth for a wireless experience or directly to a TV via optical or 3.5mm cable. Specialized sound modes adjust to compliment content – whether watching a film or streaming music from a mobile device – Infini’s room-filling sound creates an immersive experience. Infini Mini offers a 2.0-channel experience for compact spaces, like a studio apartment or bedroom. The built-in bass port and dual drivers deliver immersive cinema sound in a 21-inch package. Soundcore Infini Mini is now available for $79.99 on Amazon.com. Both models are packaged with a remote, AAA batteries, optical cable and can be placed discreetly on a surface or mounted directly to a wall using the included kit. For more information, visit soundcore.com. Soundcore Anker Innovation's audio brand, is committed to reinventing audio by bringing it to the people. This includes premium wireless headphones and beautifully designed indoor and outdoor speakers that support popular music services, voice services, and an ever-growing number of compatible smart home products. For more information visit www.soundcore.com. Anker Innovations is a global leader in charging technology and a developer of connected devices to support smarter audio, driving and the emerging smart home space. This innovation is being led by its five key brands: Anker, Eufy, Nebula, Roav, and Soundcore. More information about Anker Innovations, its brands and its products can be found at www.anker.com.